SUNSHINE Kebabs has wrapped its final kebab and put the 'closed' sign-up for good. 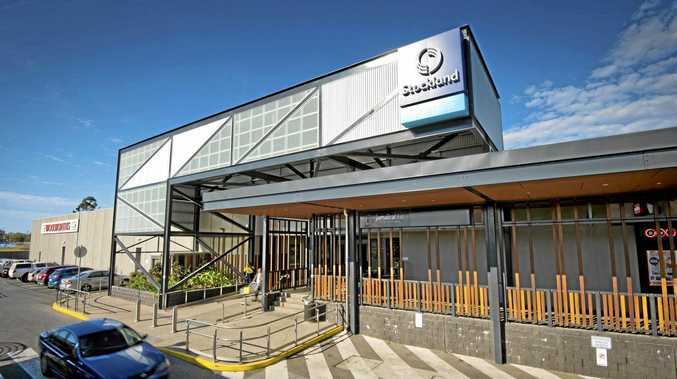 The take-away shop at Gladstone Valley Shopping Centre which has been shut since late March has had local kebab lovers worried it was gone for good. Now a letter from the landlords themselves has put speculation to rest and confirms the worst outcome. Plastered on the glass door of the former kebab shop, the letter says the lease has been "terminated" and the tenants are being locked out. 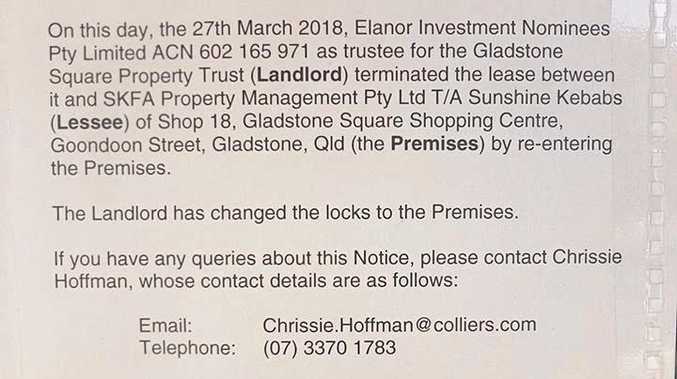 "Eleanor Investment Nominees Pty Limited as trustee for Gladstone Square Property Trust terminated the lease between it and SKFA property management Pty Ltd by re-entering the premises," the letter stated. 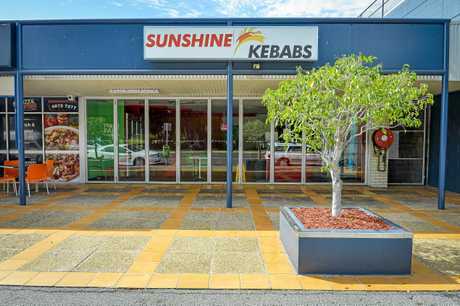 Gladstone is now home to only one Sunshine Kebabs at the Stockland Shopping Centre. The closure is one of many retailers which have shut up shop due to nightmare rents including the Park Street Newsagency and Godfreys last week.